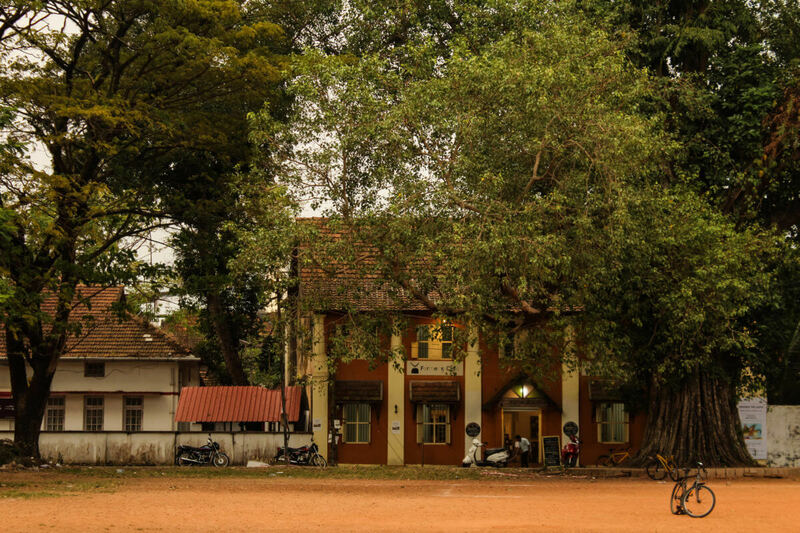 Vypin is a large island north of Fort Kochi. It hosts a number of beaches and a beautiful lighthouse. 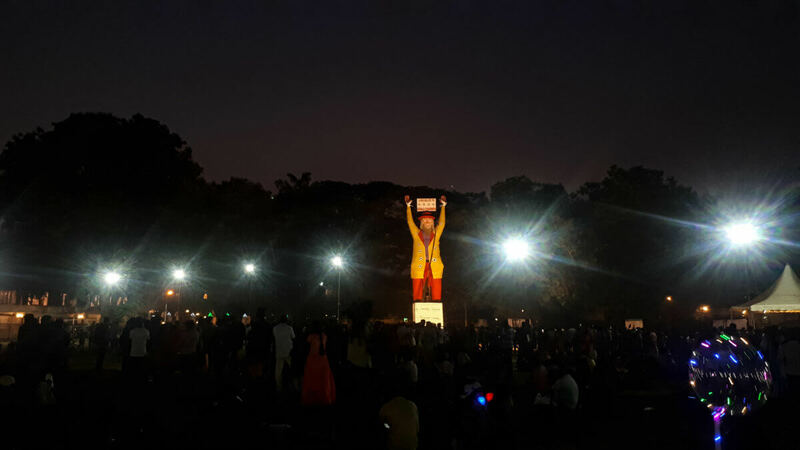 Fort Kochi has a New Year’s Eve tradition of burning Papanji at midnight. It is part of the Cochin Carnival, an event that is conducted annually for 10 days from Christmas to New Year. Having decided to attend it, we started from our homestay in the afternoon. Since we had some time on hand, we visited a couple of other places before heading to the Parade ground to witness Papanji being burnt. 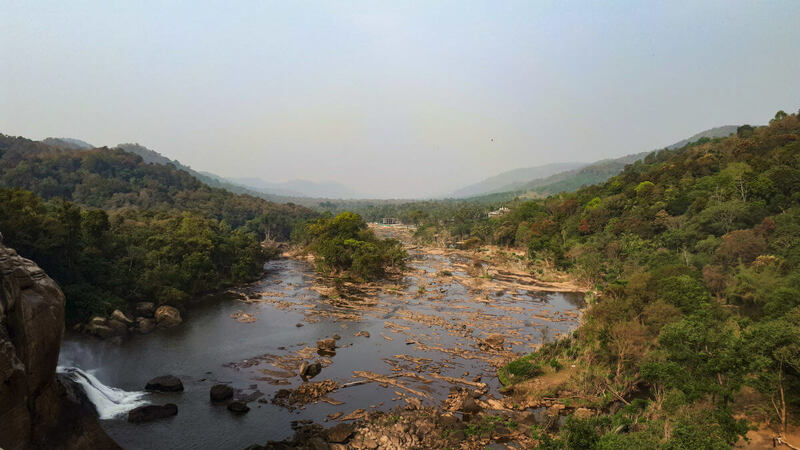 Athirappilly and Vazhachal waterfalls are two of the most famous waterfalls in Kerala, located in Sholayar Reserve Forest. They are around 45 KM from our homestay. We started at 7 AM hoping that we could beat the crowd. We spent these two days at home and finished a few household chores. I was also pursuing a possible work opportunity so we had our hands full. Day 7, 8 – 24th Dec – 25th Dec – Merry Christmas! We planned to attend the mass at the church on 25th Dec, 12:00 AM. 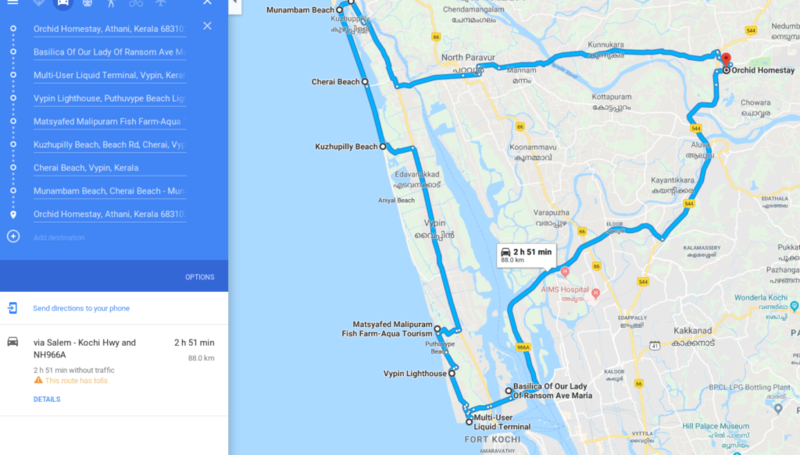 As it would be too late to drive back home after that, we booked an Airbnb at Fort Kochi for that night. 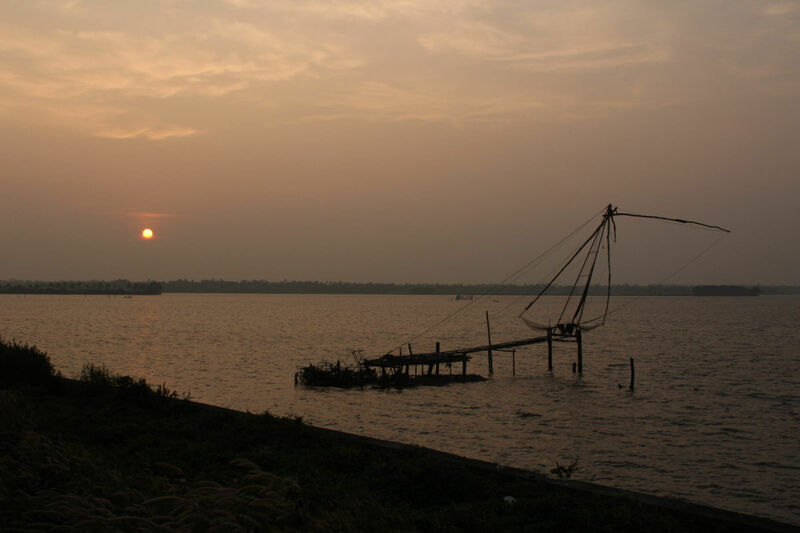 It starts today – our 3 month trip to Kerala. We’ve been looking forward to this phase of our life for quite some time now and our excited that it is finally here. We woke up early and finished some last minute packing. We were traveling on the Sabari express and the journey was 25 hours long. Although our tickets were booked from Secunderabad, we decided to board the train at Nampally – the starting station for the train. Two bikes to package and send to Kerala as luggage and boarding it from the origin point would give us more time to get the bikes packaged and boarded carefully.